way to easily learn about our nation's beginnings. Learn about historical figures such as Abigail Adams, Benjamin Franklin, and others. 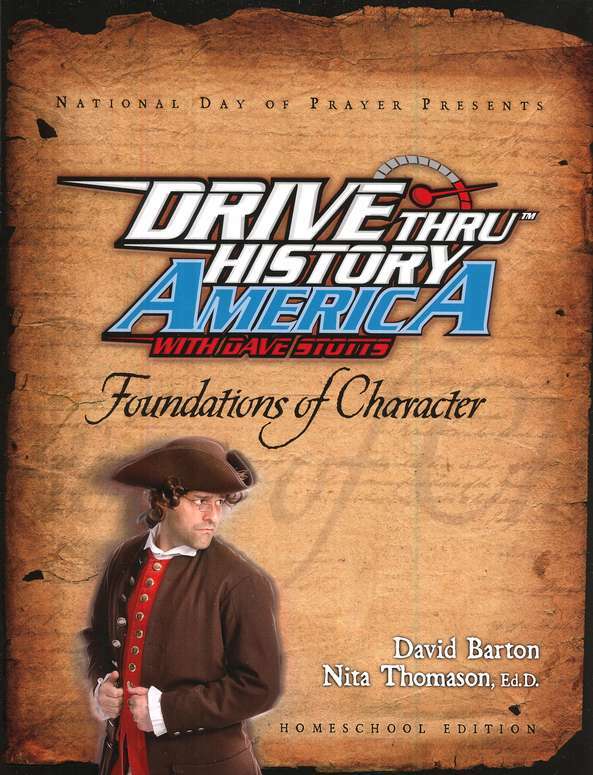 This 9-unit DVD series incorporates history, government, citizenship, etc. (January 11, 1755 or 1757  - July 12, 1804) was a Founding Father, soldier, economist, political philosopher, one of America's first constitutional lawyers and the first United States Secretary of the Treasury. He has been described as one who "more than any other designed the Government of the United States". 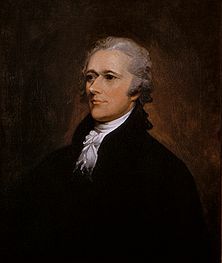 As Secretary of the Treasury, Hamilton was the primary author of the economic policies of the George Washington Administration, especially the funding of the state debts by the Federal government, the establishment of a national bank, a system of tariffs, and friendly trade relations with Britain. He became the leader of the Federalist Party, created largely in support of his views, and was opposed by the Democratic-Republican Party, led by Thomas Jefferson and James Madison. Hamilton wrote much of the Federalist Papers, still an important source for Constitutional interpretation. Next month, Stacie and Carrie's patriotic album will be released! Recorded at Bill and Gloria Gaither's studio, In God We Still Trust will be released in honor of the 10th anniversary of 9-11. It captures patriotism, faith, and freedom and enraptures audiences with soaring voices of passion. Its mission shines truth and hope to a tired nation: to glorify God, value veterans, and activate patriots of faith. With powerful, heart-stirring songs, In God We Still Trust will make you feel proud to be an American like never before! After all, we live in the land of the free because of the brave!" We visited with a high school student. Our smiles almost faded with grief when she said, "Who is our First Lady?" She honestly did not know! Yet if we were to strike a conversation about the latest singing sensation or actor, details would pour out of her lips. As two young women of the post-9/11 generation, we know it: Our generation is in trouble. Shockingly, the majority of young people do not know which document says, "We hold these truths to be self-evident, that all men are created equal.'' According to the Department of Education, only 12% of high school seniors firmly grasp our nation's history. With that low number, it is not surprising that few young people vote. "Until I heard your talk this morning, I never realized the original 13 colonies were all on the East Coast," a sincere college sophomore confessed to David McCullough, a two-time winner of the Pulitzer Prize and Presidential Medal of Freedom recipient. It's true. Today, many young people apathetically accept America's freedoms. But apathy fells countries. That's why we, two sisters from Iowa, are on a mission to activate our generation to make a positive difference in our nation with our mission, UnitetheUSA.org. The life of America depends on the lives of young people today. Instead of watching movies, we need to be on our watch and moving. If we don't stand up now, our country could go down later. Apathy doesn't fall far from the tree. 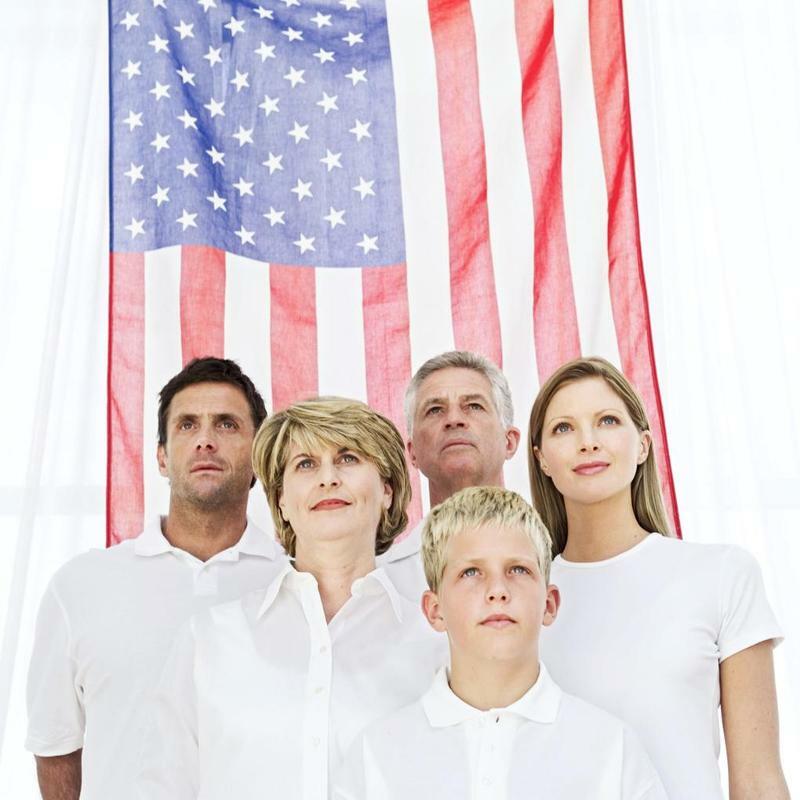 Patriotic parents infuse children with patriotism. Apathetic parents infuse kids with apathy. Interestingly, only 54 percent of eligible voters have voted during the last four decades of presidential elections. (America ranks a low 35th in voter turnout among the world's prominent democracies.) So parents, if you want your kids to be active patriots, the first course of action you must take is to be active yourselves. Take an interest in the news, learn about our history, and be sure to vote - your kids are watching. 1. Talk it. Encourage young people to talk with veterans and learn about their experiences and sacrifices on the battlefield and homefront. If America's youth would gain an understanding about the great sacrifices made to keep them free, they would appreciate our country and our veterans. 2. Walk it. Walk through national history together. Have young people walk through history and visit historical landmarks. It will make America's history 'come to life". Educate the young people in your life about the wealth of opportunities and advantages that are available in America. Watch documentaries about third world countries and countries under tyrannical law. Or, if possible, visit a less privileged country. That way, America's youth will value freedom and opportunities in a new way. 3. Share it. Make patriotism personal. Encourage young people to read the Declaration of Independence and the U.S. Constitution. Explain the meaning of each document and allow them to appreciate the documents for themselves. Educate the young people in your life about government practices and take them to political meetings and to your State Capitol. 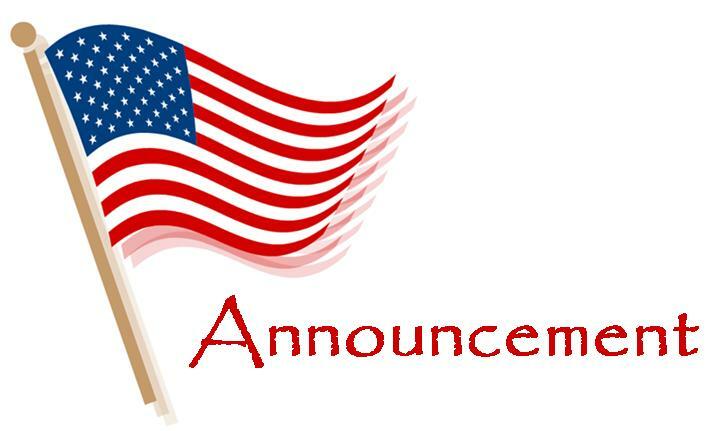 And be open about your patriotism: Fly our flag, include framed American historical documents, select an American flag wallpaper for your cell phone, opt for a patriotic ringtone, etc. 5. Vote it. Venerate the power of the vote. If taken away, people's hopes go away. Help America's youth become active citizens. Show them how they can make a difference in America. America needs to unite for the sake of today's youth and for future generation. Let's work hard, persevere, and help one American at a time. We must hoist high the torch and stand for liberty. Like 9/11 hero Todd Beamer, we all need to say, "Let's roll!" With God as our guide, we can unite the USA to fight for freedoms today so that America will stay bright for tomorrow!